HIPAA is a federal law that establishes the acceptable uses and disclosures of protected health information (PHI), sets standards for the secure storage and transmission of PHI, and gives patients the right to obtain copies of their PHI. HIPAA compliance for pharmacies is not an option. The penalties for failing to comply with HIPAA can be severe. The combined text of HIPAA Rules published by the Department of Health and Human Services’ Office for Civil Rights is 115 pages, so covering all elements of HIPAA compliance for pharmacies is beyond the scope of this post; however, some of the key elements of HIPAA compliance for pharmacies have been outlined below. Conduct risk analyses – A comprehensive, organization wide risk analysis must be conducted to identify all risks to the confidentiality, integrity, and availability of ePHI. Any risks identified must be subjected to a HIPAA-compliant risk management process. A risk analysis is not a onetime checkbox item. Risk analyses must be conducted regularly, such as when there is a change to business practices or new technology is introduced. Safeguard PHI at all times – One of the most important aspects of HIPAA compliance for pharmacies is ensuring safeguards are implemented to ensure the confidentiality, integrity, and availability of physical and electronic PHI. Pharmacies can decide on the best safeguards to implement with decisions guided by the findings of the risk analysis. Appoint a privacy officer – A privacy officer must be appointed. Any member of staff can be your designated privacy officer. That person’s responsibility is to ensure policies and procedures are followed, documentation and filing is performed correctly, and patient requests for PHI are responded to in a timely manner. The privacy officer must also monitor for changes to HIPAA regulations and work with the owner or manager to ensure continued compliance. Obtain authorizations – HIPAA permits the use of PHI for treatment purposes, requesting or receiving payment, or pharmacy operations. Any other use or disclosure of PHI must be authorized by the patient in writing prior to PHI being used or disclosed. Obtain business associate agreements – A third party that needs access to PHI or copies of PHI to perform a service on behalf of the pharmacy is classed as a business associate and is also required to comply with HIPAA Rules. A business associate must provide reasonable assurances to the covered entity, by means of a business associate agreement, that the requirements of HIPAA have been understood and that HIPAA Rules will be followed. Ensure PHI is not impermissibly disclosed – Accidentally or deliberately disclosing PHI for reasons not permitted by the Privacy Rule can cause considerable harm to patients. Policies and procedures must be developed and implemented to reduce the risk of impermissible disclosures. Care must be taken not to disclose more than the ‘minimum necessary’ PHI. Provide patients with copies of their PHI – The HIPAA Privacy Rule gives patients the right to obtain copies of their PHI on request. While that right is typically exercised with healthcare providers, pharmacies must also provide copies of pharmacy records related to an individual if requested. Dispose of PHI correctly – PHI such as prescription labels and documents must be disposed of in a manner that prevents the PHI from being viewed or reconstructed. Paperwork such as labels should be shredded, pulverized, pulped, or incinerated. ePHI on electronic devices must be permanently erased before disposal. Provide training to staff – All pharmacy staff are required to comply with HIPAA Rules, as well as volunteers and interns that are required to come into contact with PHI. All staff must be trained and made aware of HIPAA Rules that apply to them and what constitutes PHI. HIPAA training should be provided as soon as possible with refresher training provided regularly. Pharmacies must also provide security awareness training to staff. Inform patients of privacy practices – All HIPAA covered entities must document their privacy practices and share that information with patients. Signatures should be obtained from patients confirming they have received the notice of privacy practices. Notify patients/OCR of a privacy breach – Patients must be informed when their PHI has been exposed or stolen and OCR must also be notified. Notifications must be sent to patients and OCR within 60 days of the discovery of a breach. OCR can be notified of a breach impacting fewer than 500 individuals no later than 60 days from the end of the calendar year in which the breach occurred. Since HIPAA compliance for pharmacies can be complex and the penalties for noncompliance severe, we suggest contacting a compliance specialist who will be able to walk you through the steps you need to take to comply with all aspects of HIPAA Rules. Alternatively, if you are unsure about any aspect of HIPAA compliance for pharmacies, contact a healthcare attorney. It doesn’t matter how large or small your business is, HIPAA compliance for pharmacies is not optional. There have been several penalties for HIPAA violations by pharmacies over the past few years. Not only can HIPAA violations attract a significant fine, they can also seriously damage the reputation of your pharmacy. The HHS’ Office for Civil Rights has increased enforcement activity in the past two years and fines and settlements over HIPAA violations are now far more common. State attorneys general are also taking action over privacy breaches and are pursuing financial settlements when PHI is exposed or impermissibly disclosed. State attorneys general can issue fines up to $250,000 for violations of the same type that are experienced in a single year. The HHS’ Office for Civil Rights can issue fines up to $1.5 million per violation category, per year. 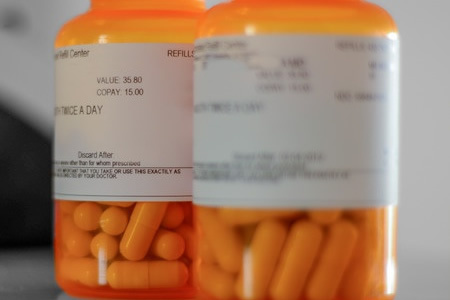 In 2009, CVS Pharmacy settled potential HIPAA violations with OCR for $2.25 million after it was discovered prescription bottles and receipts had been disposed of improperly. In 2010, Rite Aid Corp settled with OCR for $1 million to resolve violations of HIPAA relating to the improper disposal of PHI. In 2014, Walgreens was fined $1.4 million for the impermissible disclosure of a patient’s PHI. A pharmacist shared a patient’s PHI with her husband and at least three other people. In 2015, Cornell Pharmacy, a small pharmacy in Denver, was fined $125,000 for the improper disposal of PHI.